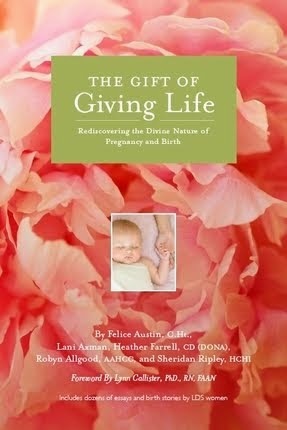 If you would like a copy of this program you can find it here. 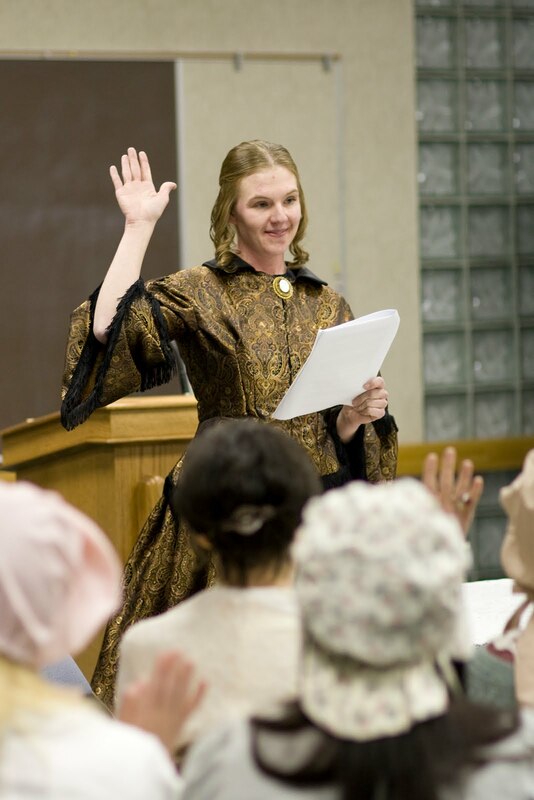 Every year in March LDS women around the world commemorate the birthday of the Relief Society which was organized by the prophet Joseph Smith on March 17, 1842 in Nauvoo, Illinois. In the past our local Relief Society has just had a nice dinner and a simple program... but this year someone got the brilliant idea to reenact the original meeting. I got SUPER excited about this and volunteered to write the script and organize the actors. 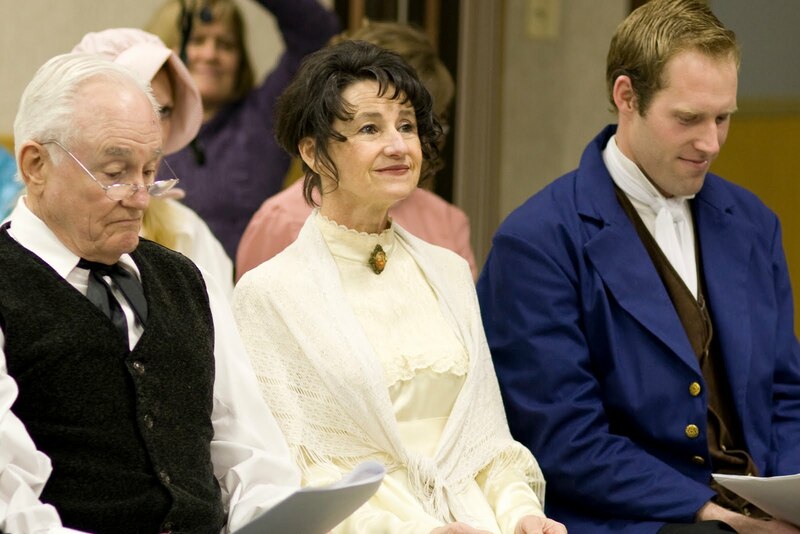 As I started to write the script I realized that I wanted it to be historically accurate and that I wanted the actors to say the words that the real people would really have said. So being the overachiever.... super nerd... that I am, I made a trip to Salt Lake City to look at Eliza R. Snow's (the original secretary) minutes taken at the first meeting. The church has them digitized at the new Church History Library and it was so incredible to be able to see Eliza R. Snow's handwriting and read what was said that day. Update: Several years ago the Church put the entire Nauvoo Relief Society Minute Book online, so now you can read the original text from the comfort of your own home here instead of going to SLC like I had to! I copied her notes word for word and then wrote my script making sure that the right people said and did the right things. In almost all the cases (I had to make a few exceptions for the times they used parliamentary procedure) everything that people say is exactly what Eliza said they said. Getting everything organized was a lot of work but I thoroughly enjoyed every minute of it. Besides... I got to be Emma. 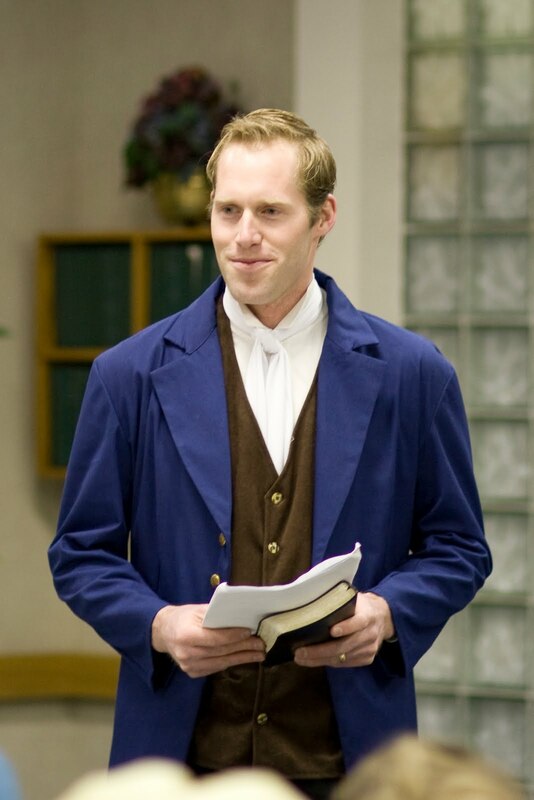 Don't you think he makes the perfect Joseph Smith? As I read Eliza R. Snow's minutes it was really interesting to discover that they used parliamentary procedure and the meeting was pretty formal. Every woman who was in the society had to be nominated and approved by a show of hands, as did all the officers. I also loved it that every time the women needed to do their "business" and vote on something the "gentlemen withdrew." "My dear sisters, the purpose of this meeting today is the making complete the organization of the church by organizing the women after the manner of the Priesthood...I propose that you sisters elect a presiding officer to preside over you and let that presiding officer choose two counselors to assist in the duties of her office. I will ordain them to preside over the society and let them preside just as the Presidency presides over the church. And if they need my instruction, ask me and I will give it from time to time... If any officers are wanted to carry out the designs of the Institution, let them be appointed and set apart as Deacons, Teachers, etcetera are among us. " 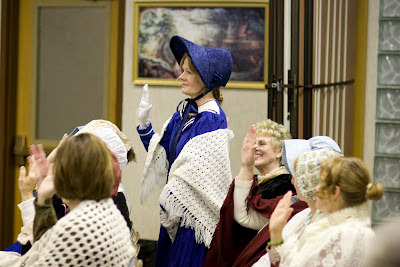 This really was such an amazing project for me and it turned out to be an incredible experience for our Relief Society. I think one woman, who was one of the actors, explained it best. She said, "It felt like Joseph and Emma and all the rest were really here. Like they were standing in the background watching us." It really did feel like they were there and it is kind of hard to describe how beautiful it felt. We had our own little piece of history. 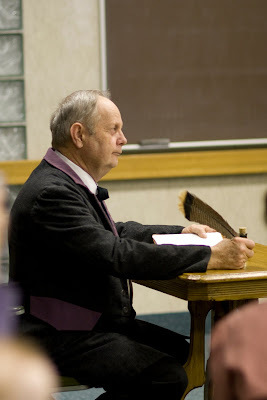 Researching, writing, planning and participating in this reenactment really strengthened my testimony of the Relief Society and of the restored gospel of Jesus Christ. I realized what incredible people these early Saints were and how my life has been so blessed because of their courage and faith. I am so grateful to have such a great spiritual heritage. 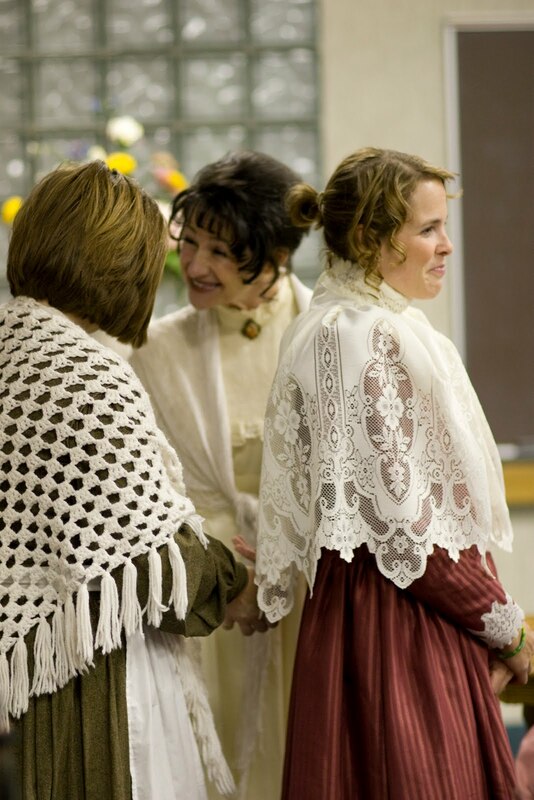 It makes me proud to know that I am helping to carry on the work that these women began more than 150 years ago. It is just as important today as it was then and seeing what they went through has made me a more dedicated follower of Jesus Christ. If you would like to read the full script that I wrote you can access it here or email me at heatherlady at gmail.com for a copy. You are free to use the script for your own use as long as you give credit to where you got it from. In fact... 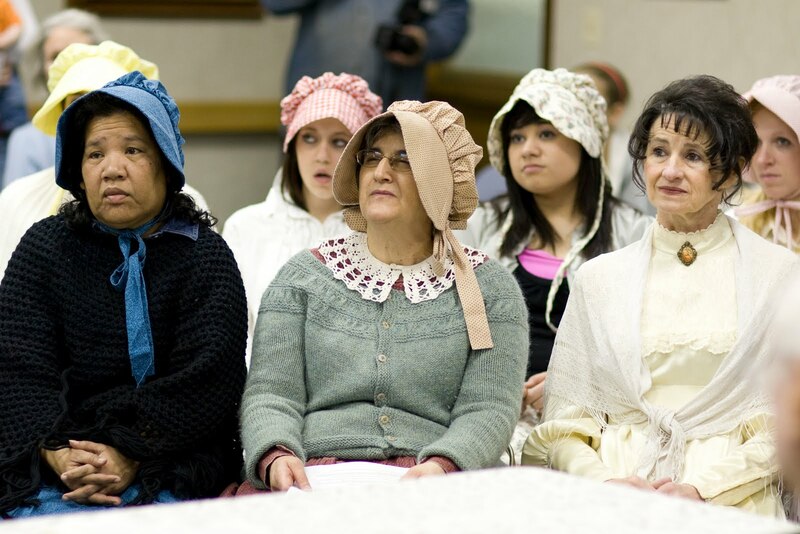 I hope you do use it because learning about the incredible history and mission of the Relief Society is really powerful and helps women understand that as Emma Smith said, "... sisters, we are going to do something extraordinary!" I love it! I will have to pitch the idea to our RS presidency or save it for the right time. Thank you for sharing this. You make a great Emma! I love how everyone dressed the part. Did everyone have a part to play? Heather, I had tears in my eyes reading about this and seeing the pictures! What a wonderful thing for you and your ward! I can only imagine how much you must have learned and felt through your preparations. Thank you for your generosity in sharing it with us. 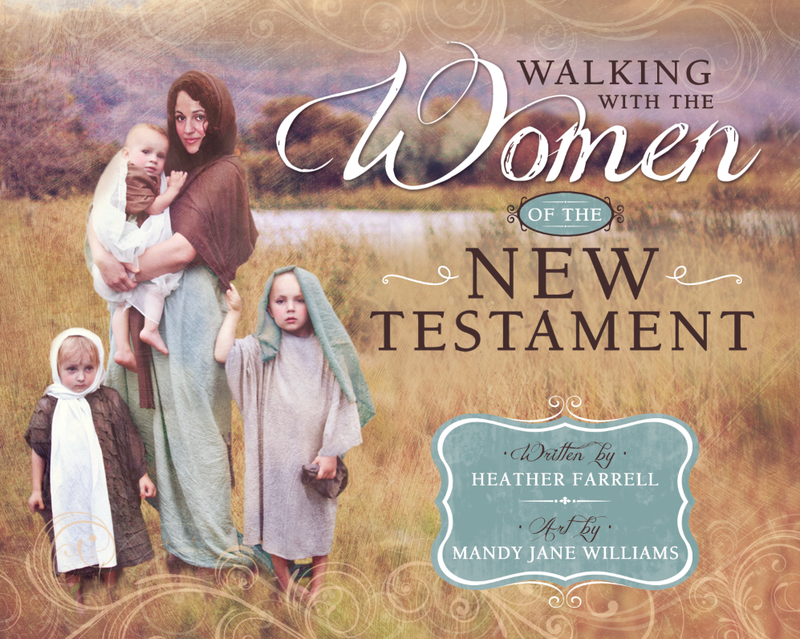 I have forwarded your blog post to my Relief Society president. Thank-you for sharing this. What a neat experience!!! You cannot spent time in church history without being forever touched and changed. 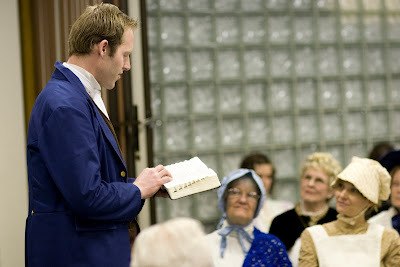 I am daking my Young Women to Nauvoo for girls camp in August - I just may use your script for an activity. Thanks again!!! Not everyone had a part. 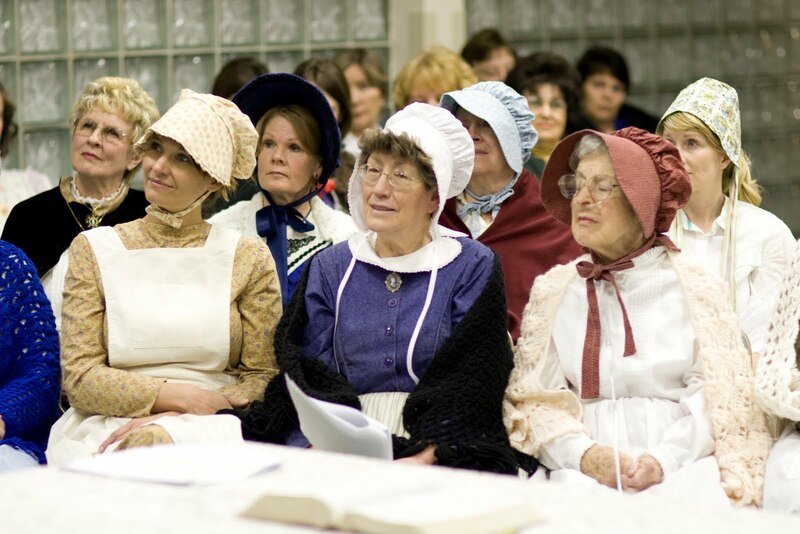 There were only twenty women there at the original meeting. 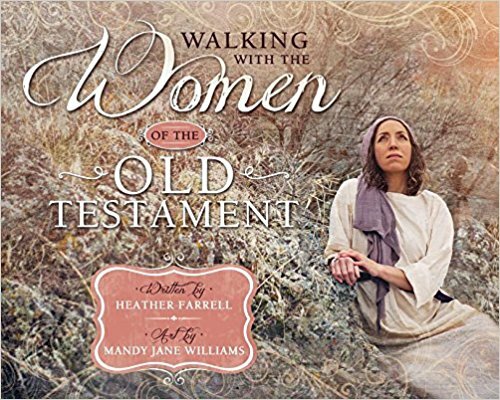 We had twenty women who acted out each of those twenty women and the three men who were there too. Everyone else in the RS sat in the back and watched. Lots of them dressed up and everyone participated in the sustaining by raising their hands. We wanted everyone to feel like they were really there... just sitting in the back. 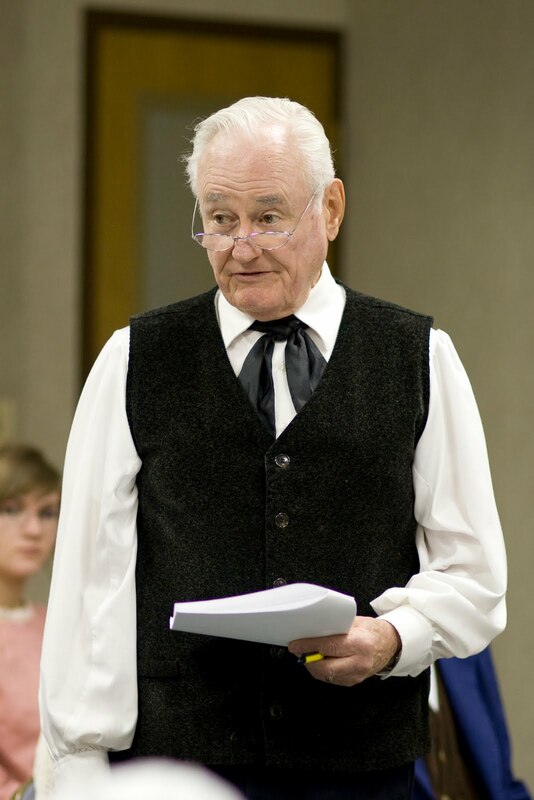 We didn't make people memorize their lines because it would have been a lot of work so they used their scripts and it worked out really well. 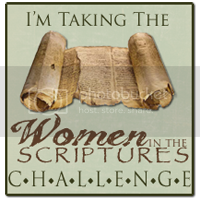 I love your idea for this blog-I'm always interested in knowing more about the strong and invested women in our sacred texts and spiritual histories. This particular post made me teary as well--Relief Society is an inspired and powerful organization. What a wonderful experience that must have been to dip into history in such an intimate way! Thank you for this wonderful idea and the work you have done. I am RS president in my ward and I'm exited to do this next spring when we celebrate RS' birthday again. I'll get started on translating the script into danish - we have sisters who would do a great job at that. So cool! Great work, Heather! Anyway, I want to share some historical trivia with you. I am 62 years old (almost) and when I first became an official member of Relief Society, I had to actually "join" by paying dues in a tiny envelope. I can't remember how often I paid them - I think only yearly - and it was a paltry amount, $.50, I believe, but that may have been the "student rate" as I was at Brigham Young University when I started attending Relief Society. 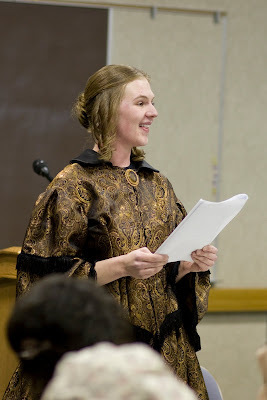 Your research AND re-enactment inspires me to learn more. Thank you so much for sharing the story, the script, and your talents! Thanks for sharing that tidbit with me. 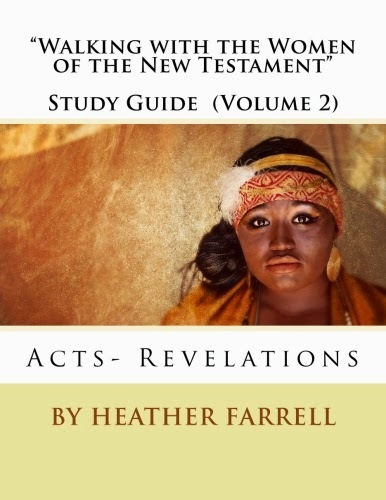 It has been SO much fun for me to research church history, especially the history of the RS, it is amazing to see how it has evolved to meet then needs of women and of the church. You've done an amazing thing! I hope many, many people follow your good example. Could I please link this up as a post on my site? 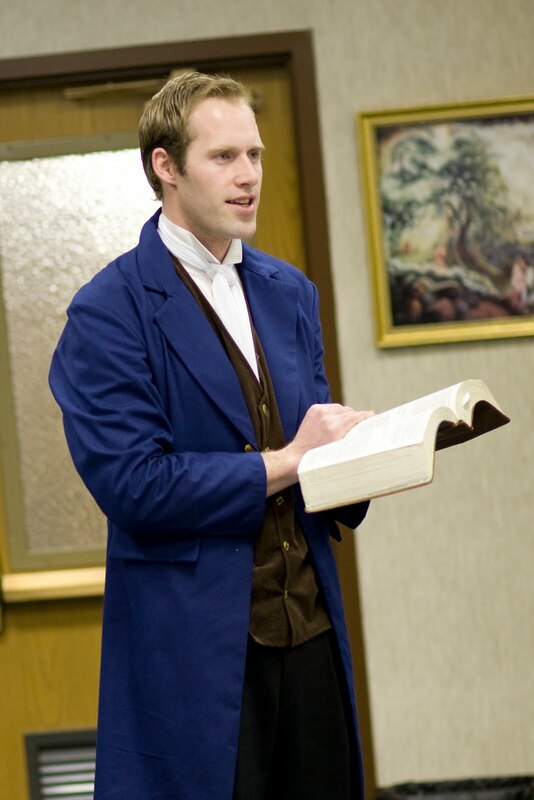 Everyone has to see the pictures to really catch the Spirit of what your ward did. Are you in Utah, or out of state? Holy cow. 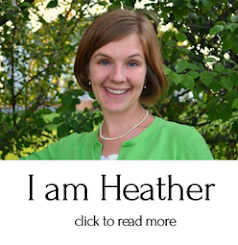 You are so INCREDIBLE, Heather! Where did you guys get those amazing costumes?! Mostly they were what people had in their closets. But I made my dress. 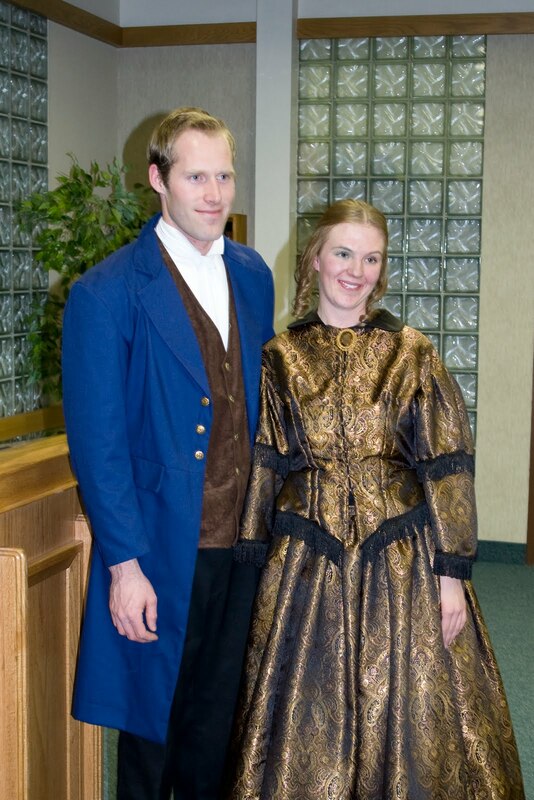 I've always wanted to sew a civil war era dress-- call me crazy-- and this was a good excuse. 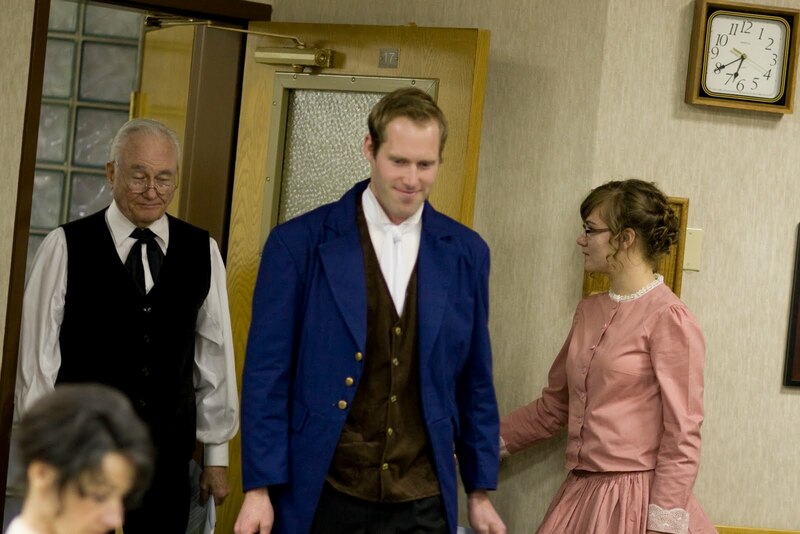 A lady in our ward made the Joseph Smith outfit. I was amazed what everyone had! It was fun to get it all together. I just found your blog and this was the first post I read. Brilliant! 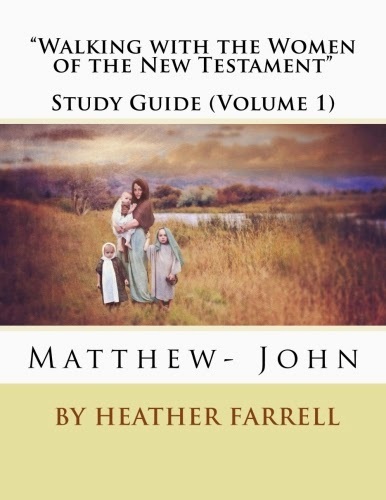 I am going to suggest this to my own Relief Society for next year. How exciting! I think you're amazing. I found out that we have Jamie Wagner as a mutual friend. I would love to meet you one day. I admire your passion and your talents. I think I may try to get this together for next March. THANK YOU VERY MUCH! i'm trying to convince my stake to do it :) it is so cool! thank you to be such a ''nerd'' ;) we need people like you to have great idea like that. and yes your husband does a great Joseph smith :) thank you again ! keep up the work. Was there any music in the first meeting? Could it be incorporated? No there wasn't any music. But when we did it we sang as sisters in Zion at the end. I"m sure you could add it in if you wanted. I love this idea! I was just called as the meeting coordinator. I will propose this idea to the presidency at their next meeting. (I am sure there will need to be ample time to prepare) Thank you for sharing such a inspired idea! I loved that idea and I congratulate you for your hard work. It seems that every sister enjoyed very much. I enjoyed by reading and looking the pictures. Thanks for sharing with us.